That white wine in a jug from California, labeled Chablis, is anything but Chablis. Chablis has long suffered from bad white wines from regions outside Burgundy calling their Chardonnay the French classic. Arguably, Chablis is the world’s greatest white wine. Chablis is Chardonnay but not all Chardonnay is Chablis. Now that’s not wine geek double-talk. It only takes one taste of French Chablis to realize Chardonnay can be so much more than the big buttery, oak-infused wines coming from many wine regions. And those wine lovers who like oaked Chardonnay have to admit Chablis is something totally different. 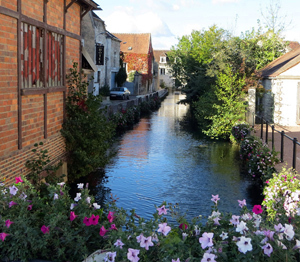 Chablis is about two hours southeast of Paris in the northernmost region of Burgundy. Winemakers grow Chardonnay almost exclusively. Chablis sets in a small valley with steep hills on each side covered with vineyard. There are four main appellations of Chablis: Petit Chablis, Chablis, Premier Cru and Grand Cru. The Petit Chablis and Chablis represent the largest plantings and also the wines that are least expensive. These wines can be found in any decent wine shop at $15-$25. The quality is superb at that price point. The hillsides have plenty of limestone beneath the soils. A walk through the vineyard illustrates the wine’s minerality by the amount of rock scattered across the vineyard floor. The truly great Chablis wines are the Premier and Grand Cru wines. There are approximately 2,000 acres of Premier Cru vineyard and a mere 250 acres of Grand Cru grapes. Chablis at the lower price point is often, though not always, fermented and aged without oak. The Premier and Grand Cru wines often are aged partially with oak and stainless steel. Many wine drinkers think of white wine as a consumable product different from big reds. The great Chablis wines only improve with age and offer complexity and a soft richness on the palate only aging can deliver. Chablis is a region of rich tradition, pride, and stubborn adherence to its heritage. A new generation of Chablis winemakers are experimenting with technology, wine-making techniques, and embracing the marketing of their unique region. But to understand the French passion for wine there is nothing better than a visit with one of the region’s biggest names. Bernard Billaud of Billaud-Simon is an icon. Visiting with him in October was an unforgettable experience. While the comment by itself is not terribly profound, you had to hear the derision and the way he strung out the word C-h-a-r-d-on-n-a-y to know he is a man of passion. What is so wonderful about Chablis? It’s the apple, pear and dry mineral taste that goes so perfectly with food — particularly seafood or poultry. 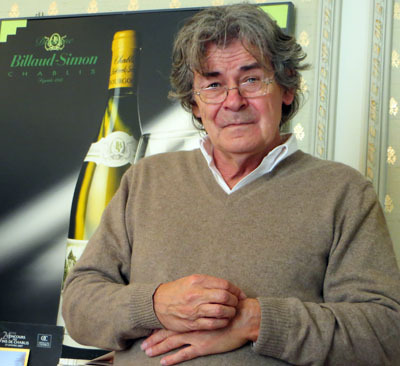 Howard’s Picks: Billaud-Simon, William Ferve, Domaine Séguinot-Bordet, Jean Marc Brocard, Pascal Bouchard, Domaine des Marronniers and Alain Geoffroy. There are plenty of other labels to try but these were some of my favorites during an October 2012 visit.